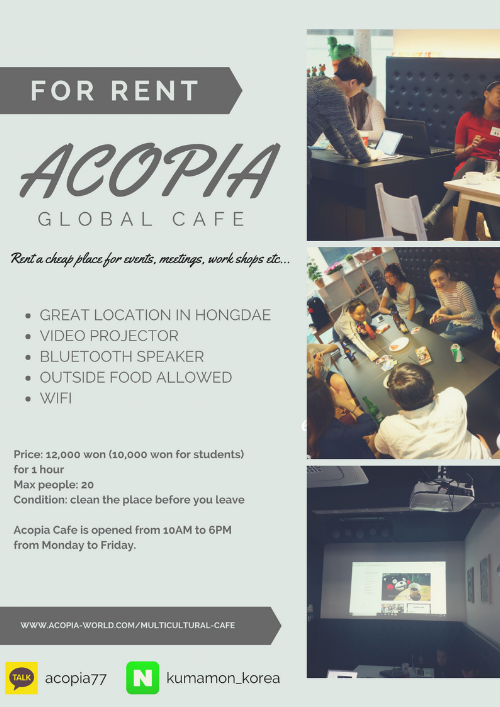 ACOPIA Cafe offers an environment of multicultural exchanges between foreign interns and korean customers. We believe it is one of the best ways to facilitate mutual understanding of languages, cultures, and ideas. ACOPIA cafe welcome anyone who is interested in sharing their culture with foreigners. At ACOPIA Cafe you can discover different cultures and countries without travelling. Our interns are glad to share their views on different things with you. You can also just enjoy a casual conversation in English, French, German and many more languages while drinking a cup of coffee. This will surely improve not only your cultural knowledge but also your language skills. Acopia Cafe also holds events where you can try traditionals meals from around all over the world made by our interns. Interested? Don't forget to like and follow us on facebook to get more updates. We have a lot of nationalities working as an intern here in the Acopia Cafe. We have interns from France, Germany, Belgium, Japan, Spain, Brunei, Vietnam, and many more. You can always visit us and discover their stories while practicing your speaking skills in a foreign language. 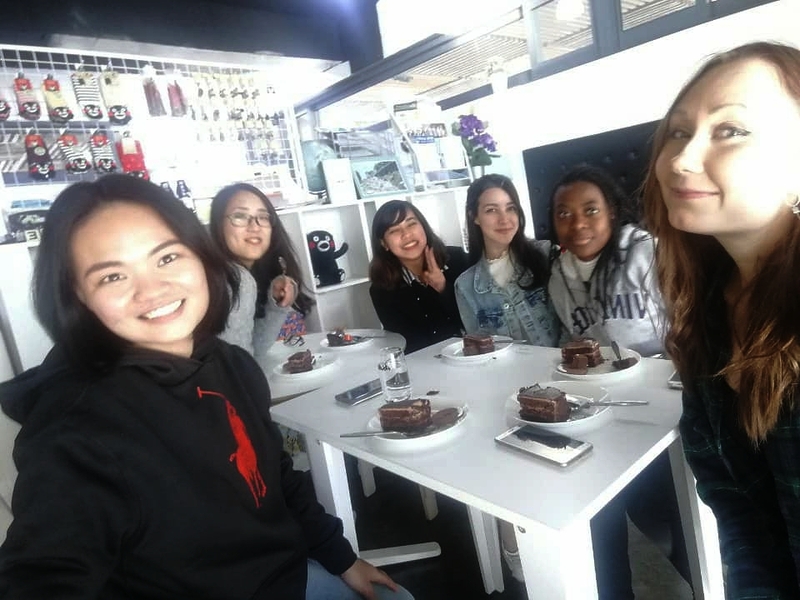 The ACOPIA interns monthly visit school and have multicultural parties in which they can experience life in Korean high schools and understand one another. Rent Acopia Cafe for your event! You can also bring food from outside and order delivery! Don't forget to check us out on other SNS!